If you’ve ever had a brand-new automated garage door installed, you’ll know that even though they’re extremely convenient to have, they can be expensive to install. It’s important to know that that was money well spent, and that you can look forward to many years’ worth of use from your door. To increase its lifespan, it’s important that you maintain your garage door properly and that you have it regularly serviced. However, even if something is well looked after, it can still break. That’s where we come in. We offer reliable repair and replacement services at affordable rates. Our services range from fixing your electric opener, to replacing your door’s panels and everything in between! Each automated garage door has a spring mechanism that lets it open and close once the opener is activated. Your door might have a torsion spring or an extension spring. Because these components are essentially carrying the heavy weight of your door, they should only be repaired by professionals. 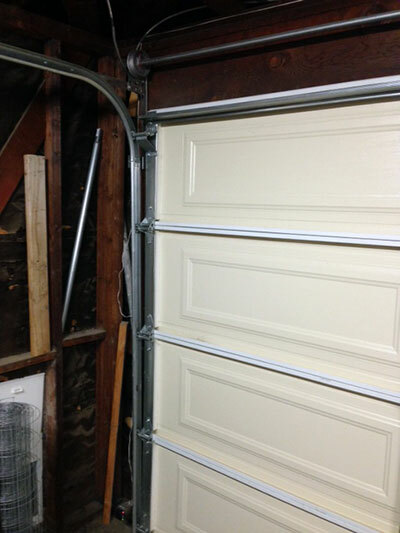 Our garage door maintenance services include the replacement of these springs. Once our technician has installed the new springs, your door will be as good as new again! Having trouble opening your door? So, we know that the springs actually move the door but how do they know when to do it? That’s where your electric opener comes in. At just the touch of a button, your door is transformed from a traditional manual garage door into a convenient automated one. However, if your opener is faulty, your garage door won’t be able to open or close. We have plenty of experience in fixing a wide range of openers, as well as a variety of well-known brands. This means that whatever type of opener you have, you can rest assured that we’ll be able to repair or replace it! We all know that life can throw you a curveball at the worst possible time. This is why we offer emergency repair and replacement services to all of our valued customers. Life might let you down sometimes, but we won’t! Here at Garage Door Repair Fairview Shores, we love hearing from our clients! You can simply give us a call if you have any questions about our services, or if you need us to fix your faulty door or opener.